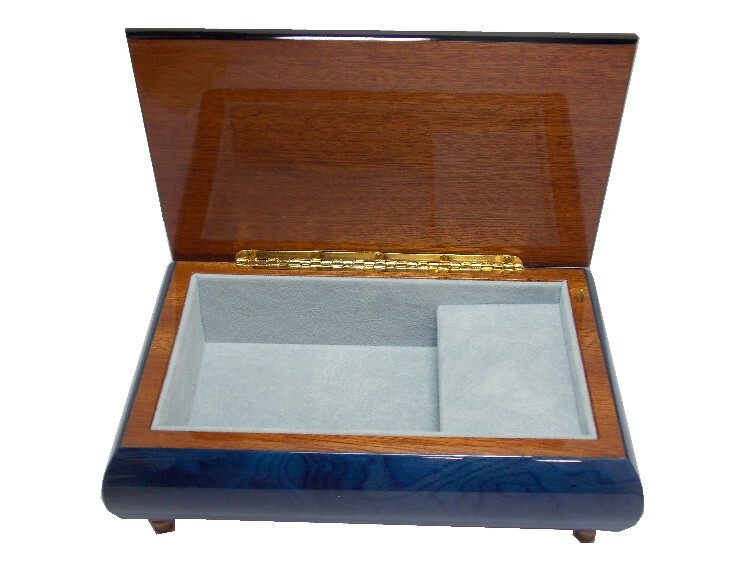 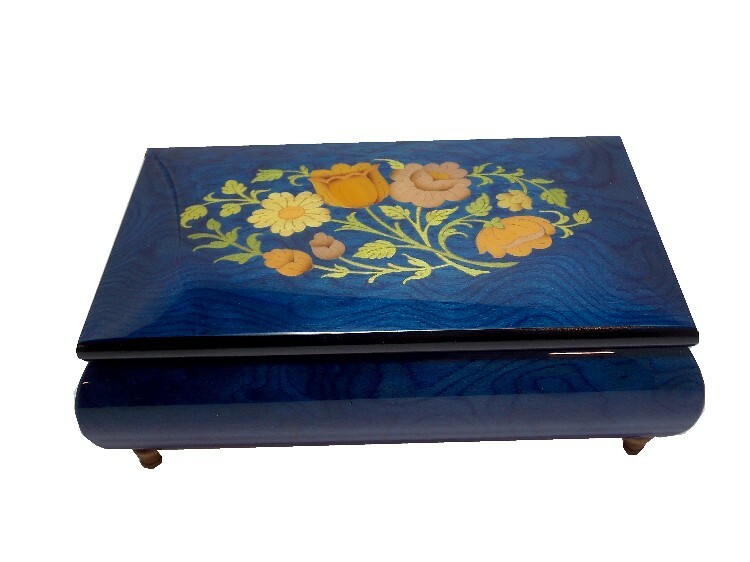 This musical jewellery box is hand made, finished in blue veneers, and coated in a gloss lacquer giving it its beautiful finish. 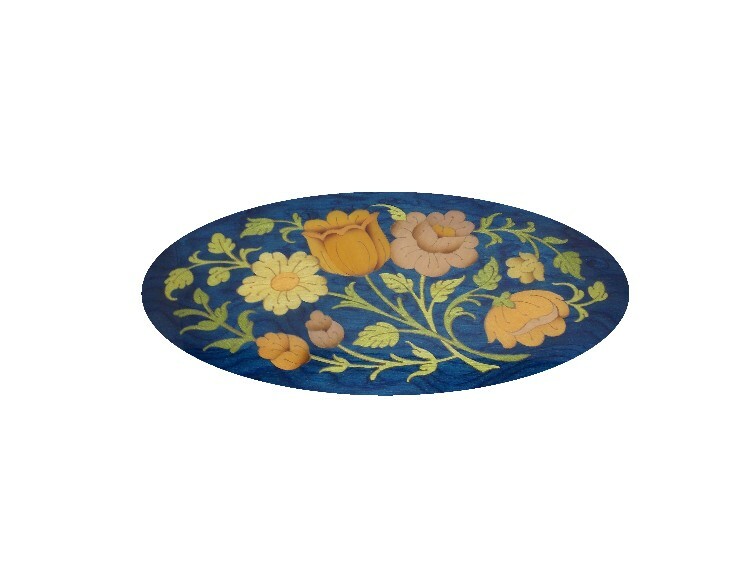 The marquetry set into the lid is of a floral design. 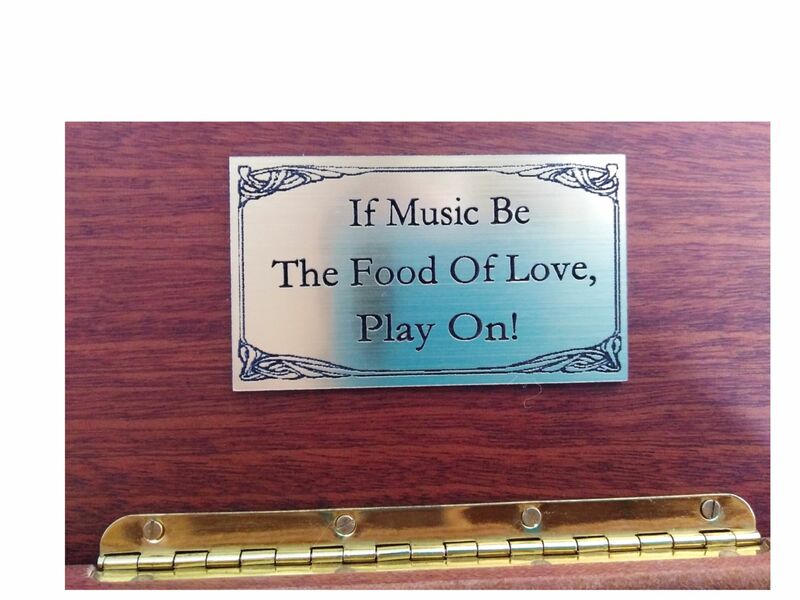 Ideal for a loved one, as a cherished gift for any occasion.